Winter is the perfect time to eat stuffed baked potatoes! Whether it's sweet potatoes or good ole' russet, a stuffed baked potato goes right to your soul on a cold night. I have tried many different stuffed potato flavor combos in the past, but I always come back to this recipe. 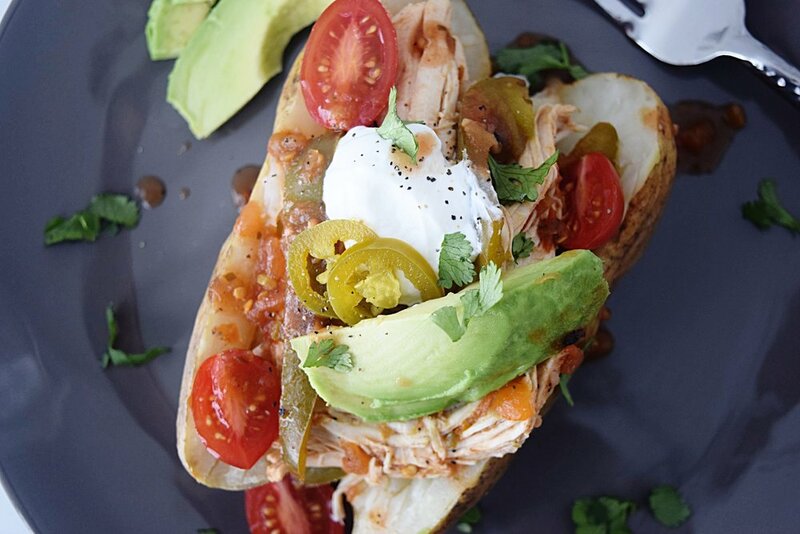 It's juicy, spicy chicken with peppers over a fluffy baked potato and topped with all the fixings! If you start the chicken in the morning before work, and throw a few potatoes in the oven right when you get home, it's almost like someone else made dinner! 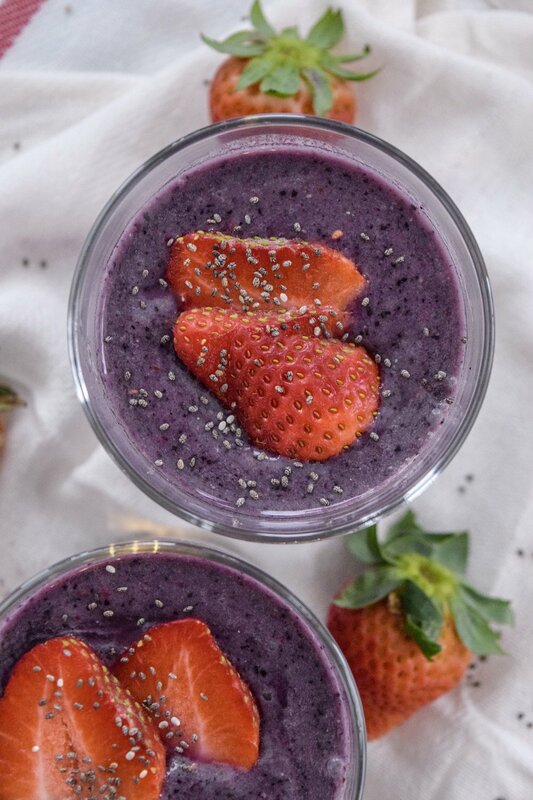 Get creative with your toppings and have fun playing with the flavors! 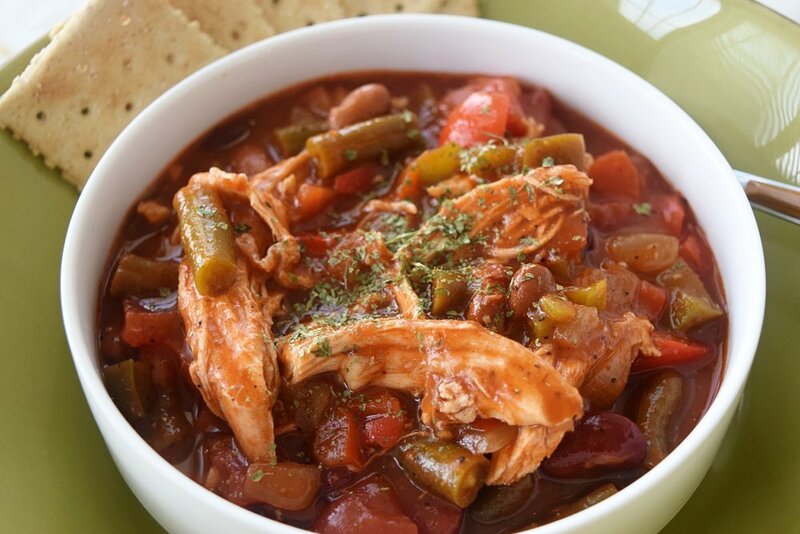 In a Crock-Pot, add chicken, salsa, green chilis, pepper and onion and stir to coat chicken. Cover with lid and cook on low for 4-6 hours. Heat oven to 425 degrees. Place foil wrapped potatoes on top oven rack and bake for 40 minutes or until tender. Split open lengthwise and fill with cooked chicken and add toppings as desired. Enjoy! Thanksgiving, my favorite holiday!! What chef doesn’t love a day that is all about food? And the fact that you have armies of family members to do the dishes :). But after the last dish has been cleaned and you look in your fridge, you see piles of turkey, mountains of cranberry sauce and bags of stuffing! What in the world will you ever do with all of those leftovers? Unless you want to eat Thanksgiving dinner for the next three days, try one of my two favorite ways to clean out the fridge and create delicious dinners! Today I’m sharing the most ah-mazing turkey chili, I can’t think of a better way to use up your leftover turkey and your veggies! We always have green beans with our Thanksgiving dinner so I like to add them to my chili with the turkey. Corn or carrots would always be a fabulous leftover veggie to add to the chili. In a large pot, add olive oil. Add peppers, onion and jalapeño to the pot. Sauté in olive oil until veggies are just tender. Add in remaining ingredients and simmer for thirty minutes.